As a beauty hoarder I find it rather difficult to finish up products, mainly because of the face that I have too many of them and I use a lot of products at the same time. This addiction of mine makes is almost impossible to finish up a beauty product unless it's something I use on a daily basis, and when that happens - it feels like a huge accomplishment! So I thought that maybe posting about my empties could help me use up the products I already have, and this is also a great opportunity to share my experience with these products. So if you are curious to read what I thought of these products, keep om reading. 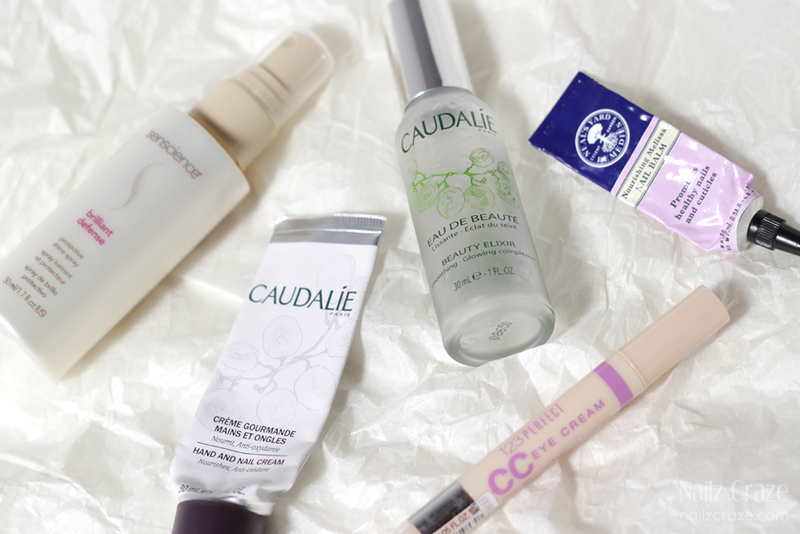 I first discovered Caudalie in my Liferia Beauty Box, and after loving the products, I was curious to try some new products from this brand. After looking up this brand, I found that many bloggers were raving about this Beauty Elixir and I though to give it a go. Instead of buying this product alone for £11.5, I purchased the Caudalie Must Have Set on and got a few more travel size products with this kit, like the hand cream below. 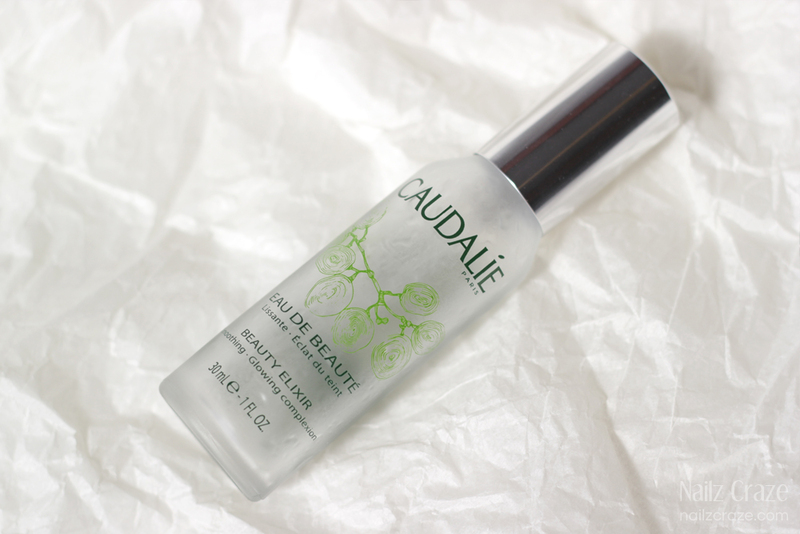 Caudalie claim that this "Beauty Elixir smoothes features, tightens pores, and gives the complexion a burst of radiance. 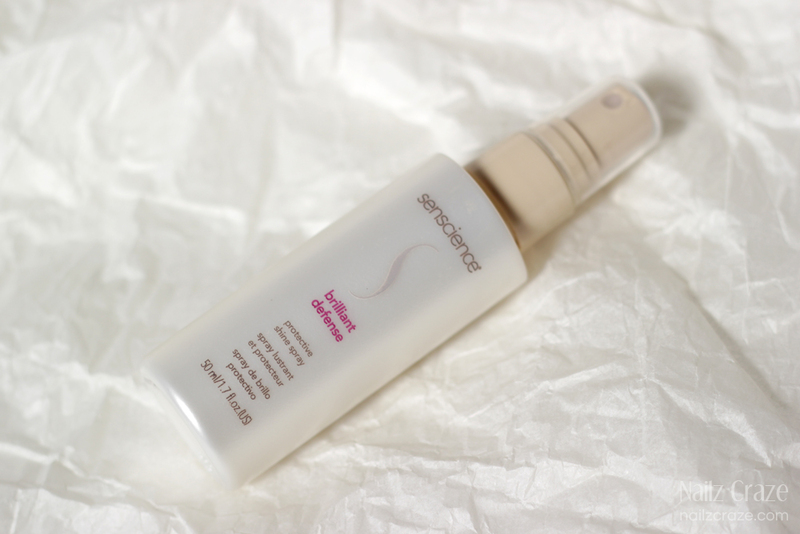 An excellent base for make-up, this water awakens the skin in the morning and livens it up before a night out." I actually couldn't put my finger on what this product exactly does, but I didn't realize how much I liked it until it was gone! I used it in the morning, evening and throughout the day on clean skin, and I really liked the fresh energizing boost it gave to my skin. It has a rather strong mint scent which was too heavy for me at first, but it faded away quickly and I got used to it so that didn't really bother me after a while. This bottle apparently didn't last long because I used it a lot very often, but I think it lasted me about a month. It was a really nice and refreshing product that helped me sooth and cool down the skin in the hod days, and now that it's gone I kind of miss it. Will buy again? Definitely yes! Still thinking if I should get the travel size again or go for the full size which is a bit pricy, but I know I will have this product again. 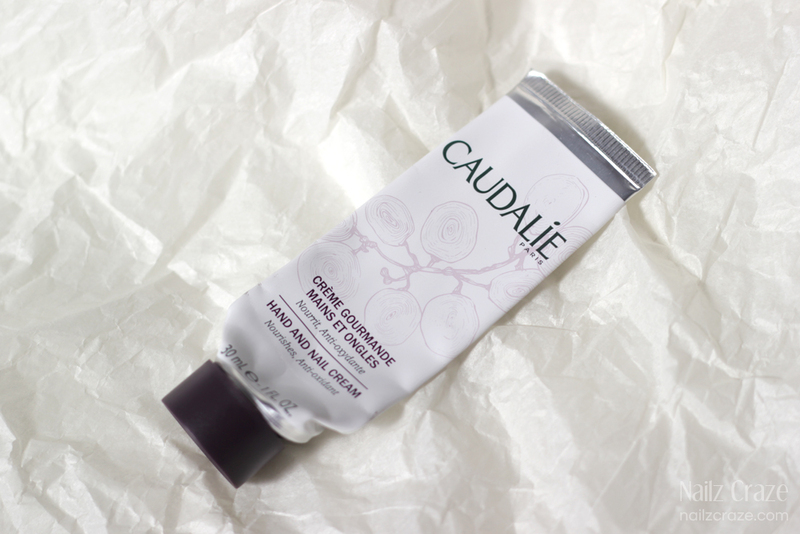 This little hand cream was another product that I got with the Caudalie Must Have Set. Caudalie cream claims to "Moisture, softness and youth are combined in this anti-oxidant Caudalie Hand and Nail Cream. The fresh orange pulp protects your skin and leaves it silky smooth, with a voluptuous fragrance softened by almond powder and a drop of rosewater." I really loved the slightly sweet yet fresh scent and the light texture of this creme. I can't say it's enough to use it alone as a cuticle product (I use it with my favorite cuticle balms), but I really love it as a hand cream. This cream also comes in a large tube of 75ml and retails for £12, but with a proper discount and sales you should be able to get these little creams for about £4, which I find to be very cute and much more convenient size to have with you in your bag. Will buy again? Yes. Already bought two more minis after finishing this one from the travel set. This was another product I got in one of Glam Guru's beauty boxes last year (gotta love beauty boxes for that, right?) and really loved. "This weightless, water-resstant shine spray protects all hair types from sun exposure and environmental damage. Improves luster, leaving hair with a sensual, luminous finish. Eliminates static and frizz." I usually use it on damp hair or when I want to smooth out dry hair from any frizz I have. It's formula is very light and doesn't leave me with a feeling that my hair has any product in it. It does a great job smoothing my hair every time, leaves it very soft and silky, and smells really nice too. Will buy again? Yes. I already repurchased two small bottles (I love having one with me in the bag and the other one at home). When I find something that I like, I stick with it, and this is probably a product that I will keep on repurchasing. 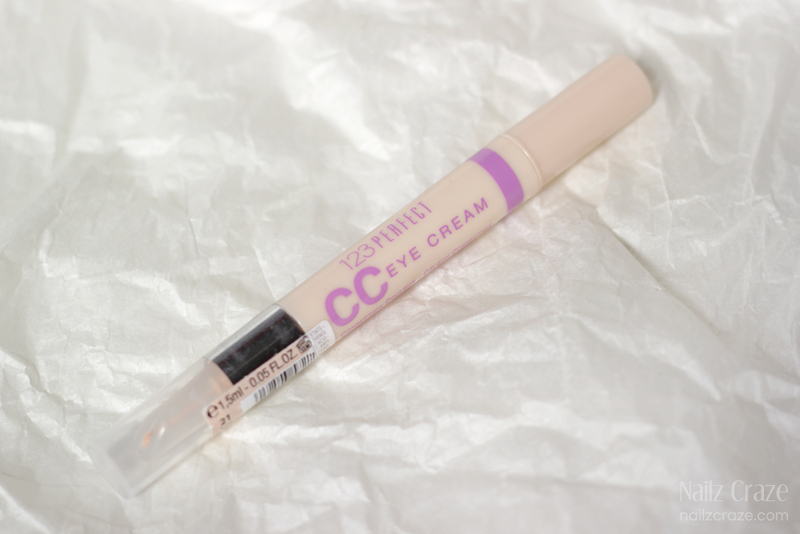 I decided to try this eye cream / concealer after reading many good reviews about it, so I grabbed it on sale at asos.com (at the time it cost me £5.50). "Featuring a nourishing multi care formula. Designed to cover dark circles and imperfections. Aims to smooth wrinkles and reduce puffiness. Rich formula offering 24 hour hydration. Contains SPF 15." At the time I didn't realize how little amount of product there actually was in this tube / pen. It's quite a ridiculous amount of only 1.5 ml (!?) but surprisingly enough it served me for many uses. I got the Ivory shade, and it looks like it matched my skin tone nicely. I would say that the cream itself has a light coverage, the formula is very light and hydrating which was one of the things that I really loved about this product. Another thing that I loved about it is that it instantly brightens the eye area and makes you look awake. I didn't find the silicone applicator as comfortable and I always ended up using my finger to apply and blend the product, and I didn't like the fact that I had no idea when it's going to end up, but overall I was pretty happy with it. Will buy again? Yes, but only when it's price will be reduced significantly. 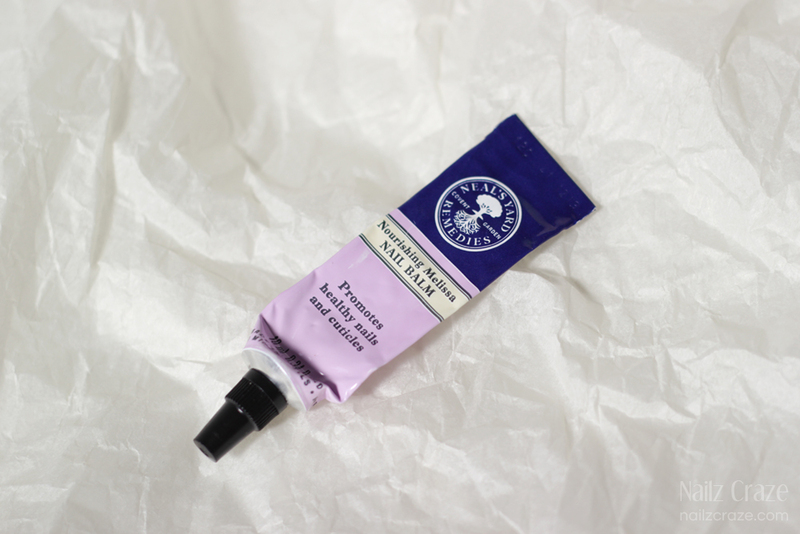 I've been really loving this great nail balm from Neal's Yard lately, and I used it a lot! you can read my full review in this post, but to make things short - It does a great job hydrating the cuticles, has a lovely fresh scent, and the tube with a slim nozzle allows a very comfortable application (that I wish every cuticle balm had!). I was so sad when it product was about to end, and you can bet I used every bit of it! Will buy again? Definitely yes, after I will use up some of my current cuticle balms. I hope you enjoyed this empties post and that you found some useful information in my reviews. Let me know if you would like to see more of these posts on the blog! Thanks for reading! Nice empties for the month! I really enjoyed your post and it does make you think how often we actually use up our products. Like you, I feel it's a great achievement to squeeze the last drop out of a product! פוסט מעולה! אני נורא רוצה לנסות את המוצרים של קודליי נשמע מבטיח!